A post by Robert Holtom. 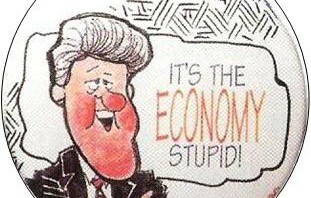 “It’s the economy stupid” was one of the taglines for Bill Clinton’s 1992 election campaign. And still the machinations of the economy are affecting us – conservative governments imposing austerity agendas on societies hugely dependent on public services, the banking sector resolutely not learning any lessons, and yet more of the earth’s resources being depleted at a rate of knots all for the sake of a rise in GDP. One Year in Transition (1YT) is a yearlong part-time programme for young adults (20-35) that recognises that much of the mainstream – its attitudes and practices – is leading us in a very dangerous direction. Whilst the geopolitical and macro-economic (il)logics of 21st century consumer capitalism play themselves out on a global scale they also have far-reaching and mundane impacts on people’s everyday lives. For many young people the story they’re presented with takes them from school to university, where they need to get into a lot of debt all so they can get a qualification that may not even result in them being offered a job. Meanwhile, the relentless efforts of the advertising industry do their best to undermine our self-confidence and get us into even more debt buying loads of stuff. It’s not the most inspiring of stories as money and consumption seem to be its central plot devices. 1YT spins a very different tale. Born out of The Transition Network its approach will be familiar to the readers of the REconomy blog – it champions local and resilient communities engaged in producing more of their own energy, food, and culture. 1YT asks what role young people can play in this space and equips them to experience the difficulties and joys of creating an alternative lifestyle whilst navigating the screens, machines and billboards of modernity. The participants are not students, they are partners, which mean they help direct the learning, bringing their own knowledge as well as learning from a range of inspiring experts/practitioners – including community activists, social entrepreneurs, leadership consultants and storytellers. During the year there are four weeklong residentials, ours took place in Devon, Oxford and Bath. We explored the communities we visited, being introduced to a raft of local projects helping to boost the resilience, well-being and sustainability of localities – there were local organic farms selling their produce from a mobile veg-van in Oxford, energy neutral housing projects in Totnes, permaculture groups, and various educational programmes engaging younger and older people on issues such as climate change and sustainability. 1YT was a very practical course, showing us first hand the successes and difficulties of strengthening the resilience and sustainability of local economies. We were reminded of something the economist E.F. Schumacher had known all along, that small is beautiful. And through greater connection and the establishment of networks these smaller projects can link up to former a far larger tapestry of activity, becoming much bigger in impact without having to have been designed as big. 1YT combines its pragmatic approach with a personal one and encourages participants to engage with individual and group reflections on the issues facing them today, reminding them that trying to create a living doing something you care about is not always easy, and life has a habit of throwing up difficulties. However, just as communities can learn skills of resilience, well-being and sustainability, so too can people. We were each assigned a personal mentor who helped us explore these aspects and we learnt different ways of facilitating group interactions, ones that highlighted the need to look after people as well as the need to get things done. Mindfulness, non-violent communication and permaculture applied to our own lives were all explored. I finished my One Year in Transition this July far better equipped to make change in my own life, making me a more effective agent in the communities I am a part of. I honed my biggest passion – writing – and now use it as a tool to inspire and help the push for sustainability. 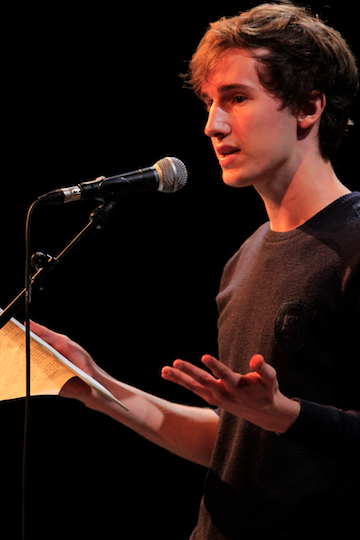 I recently wrote and performed a story at Reclaim the Power – the anti-fracking protest in Blackpool. I was also inspired by the storyteller Martin Shaw, who I met on my first residential in Devon, and now I work with small organisations such as charities and campaigning groups, teaching them how to better tell their stories. I am a huge fan of culture and the arts and know they have a vital role to play as our society transitions. We need stories, songs and poems, as well as wind turbines, local farms and currencies. 1YT recognises the plethora of approaches for making change – there is activism, protest, campaigning, project building, learning, skills sharing, storytelling, singing, and so much more. Other participants were helping to set up community orchards, allotments, sustainable glamping sights and local feasts made from surplus food. We were a diverse bunch! There’s no right way and 1YT can support you as you discover your passions; connecting you to current practitioners and helping you develop professional skills such as group facilitation, enterprise establishment and basic finances. Other modes of exchange are explored including gift economics, skills exchange, and time banking. All of these are methods that can be used alongside/in place of monetary exchange, especially when money is tight, as it often is in the environmental sector! In broadening the range of means of exchange it became clear that value means so much more than cost, and there are so many different ways of valuing people a nd their skills. Of course, money offers a simplicity of exchange that other techniques do not necessarily have, and so one must always be vigilant in ensuring exchanges are commensurate, and this requires creativity and honesty. So for all the books and TED talks one can watch about alternative economics – Tim Jackson’s Prosperity Without Growth being one great example – nothing will change unless action is taken and this is where 1YT steps in – to equip young people with the mindsets, means and passion to make a living from making a difference, whilst forming community and pursuing their passions. If you are aged between 20-35 and are uncertain about where your life is going, or wanting a change of career, or have a project you’d like support with then 1YT could be just the course for you. And there’s still time to apply for the 2014/2015 course starting later this September! Author: Robert Holtom (right), a regular contributor to REconomy in issues relating to young people in particular. Main image credit: Bill Clinton badge.